In this article, we’re going to review the Spyderco Harpy and see how well it stacks up against other popular knives, like the Spyderco Delica and Tasman. 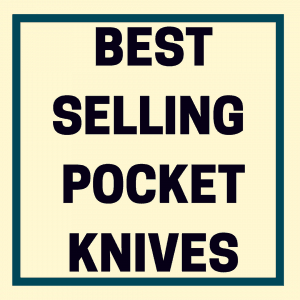 Now, before we get started, it’s worth noting that Spyderco has a wide variety of specialist knife categories. One of their largest niches is the “marine knives” designation: knives whose designs are tailored for use on board a ship or on the water. These blades are interesting, not only because they tend to look quite exotic, but also because they are so different in application from the knives we lubbers are used to carrying. They can be useful on land, if not ideal. Sometimes, however, we worry less about utility and more about trying something different. The Harpy, one of Spyderco’s oldest designs, works (imperfectly) as an EDC, and almost certainly is a far cry from what you typically carry. The original Harpy, like the current model, was made from stainless steel, but the blade at that point was made from AUS-6, a predecessor to the much-used AUS-8 of today. Subsequent years saw the release of an FRN-handled model, initially called the Merlin; it was later renamed the Harpy, perhaps to avoid confusion, but then discontinued. Later still, the Harpy design was transposed into Spyderco’s Salt Series of knives, blades made with a rustproof steel called H-1. This model is called the Tasman, and is available in both a serrated and a plain edge configuration. Throughout the years, several special variations of the Harpy have been released, including a model in carbon fiber and a particularly elusive Merlin sprint run that came out in 2002. Besides the upgraded blade steel, the Harpy of today isn’t much different than the Harpy of 1987; like the Delica or the Dragonfly, its lines have gradually been smoothed out and refined, but less radically so, and it has remained unchanged since 2002. The Harpy’s handle is simple and comfortable. It is interesting because, if you compare it to the Delica 4, you’ll see that the lines of the handle are the same, except that the Delica 4 has a much more pronounced scallop in the middle of the handle. I’ve always found this scallop to be the Achille’s heel of the Delica 4: putting a finger groove in the middle of the handle just makes it feel cramped. The Harpy has a gentle rise instead of this groove, and it works so much better; the handle feels less restrictive even though it is smaller. 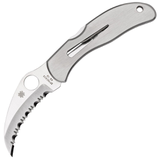 The Tasman, in comparison, is like the Delica 4, with two finger grooves where there should be none. Although I do prefer the Tasman’s FRN to the Harpy’s stainless steel scales, the Harpy is more comfortable. Things get interesting when you compare the Harpy to its bigger, self-defense-oriented brother, the Civilian. Whereas the smaller Harpy and Tasman share their handle design cues with the Delica series, the Civilian’s handle, which is much larger, reminds me most of the Paramilitary 2’s excellent, spacious design. 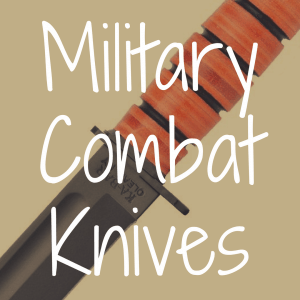 It lacks the forward choil that the PM2 has, and it’s hard to compare the Harpy to the Civilian because they are knives built for very different purposes, but the Civilian surely wins out in the category of ergonomics. The Harpy’s hawkbill blade shape is its major selling point. 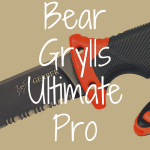 It’s not the best slicing knife in the world, but the pronounced curve, coupled with the aggression of the serrations, makes the Harpy a supreme pull cutter. It will chew through rope and other fibrous material with ease. The fine, mean tip means that the short length of plain edge behind it can be used effectively. In short, everything about this knife is designed for making large-scale cuts. Using the Harpy to break down a box and then going back to the Delica 4 is interesting: there is so much more effort required to power the Delica 4 through that tough material than the Harpy; conversely, however, the Delica 4 outslices the Harpy with ease. 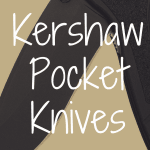 The Tasman has an identical blade shape, with identical utility. I will say that I find the plain edge version of the Tasman to be less useful: getting rid of the serrations gets rid of the aggressiveness that is so helpful when cutting a lot of rope or, less nautically, a lot of cardboard. The Civilian, though superficially similar to the Harpy, has a blade designed with a very different cutting task in mind—self-defense. Its blade places the emphasis on slashing potential, and the weaker tip and more pronounced belly reflect that. There are very few times when I am happy to have VG-10 as my blade steel. This steel, which is to Spyderco as 154CM (a much better steel) is to Benchmade, doesn’t hold an edge and isn’t very easy to sharpen. If you chip your VG-10 blade, as I did on my Delica 4, it is not going to be fun working that chip out. However, one huge upside to VG-10 is that it is very rust resistant. In a blade that is designed to be around water, this is great. 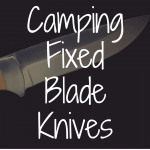 The sharpening issue is less glaring too, because serrated pocket knives don’t need to be sharpened as often—although, in fairness, when they do need to be sharpened it’s a real pain. The curve of the Harpy is also going to be hard to work with on your stones—although not as hard as the wonky blade of the Civilian, also in VG-10, would be. As rust-resistant as VG-10 is, however, the H-1 of the Tasman is more so. I’m not comfortable saying that it can’t rust, but it is still much more corrosion-resistant than VG-10—or any other steel I know of. Additionally, the scales of the Tasman are FRN, which IS rustproof; the Harpy’s steel scales just can’t compete. The Delica 4 is a wide knife. Wider still is the Harpy. There just isn’t a way around this: it does not carry very well in the pocket. This is a trait shared amongst all Spyderco’s hawkbill knives: a curved blade is going to stand prouder from the handle than a straight one anyway, but paired with the extra space the Spyder Hole requires you have a real pocket hog. The Civilian is the worst of the three, simply because it is so much bigger. The Tasman is almost the same size as the Harpy, but it is lighter by almost 2 oz., and so is preferred. The Spyderco spoon clip, which is the same on all these knives, is great: durable and discrete. But it can’t make up for the fact that all of these blades carry worse than the average Spyderco. The lockback on the Harpy is functional and unremarkable. That sounds negative, but what I mean is that, while it is not a particularly amazing rendition of a lockback, neither is it problematic. The little bladeplay it exhibits is to be expected, although I am sorry to see that the Harpy is a pinned-together knife, as opposed to the more user-serviceable screw-together construction of the Tasman, Delica 4, and Civilian (which share the same lockback lock design, by the way). This tends to be the case with Spyderco’s stainless steel-handled models, and is one reason I prefer FRN models when available. The Harpy is an interesting knife. If you are not planning on using it for the tasks it was designed for—pull-cutting rope, webbing, and other fibrous stuff—then its performance is lackluster. In role, however, it is excellent, although I would say that the Tasman is a better choice: it has better steel, is much lighter, can be taken apart and serviced, and costs less. 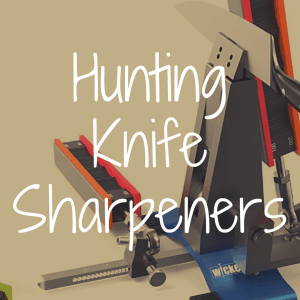 If you spend a lot of time on the water, then a knife like the Harpy or Tasman is a no brainer. If you’re a lubber who wants something a little different to carry (or maybe just a Thomas Harris fan), then definitely consider this venerable, hawkbilled blade; just don’t be surprised if it performs below expectations; it will, after all, be a fish out of water. 3/5 stars on water, 2/5 stars on land. 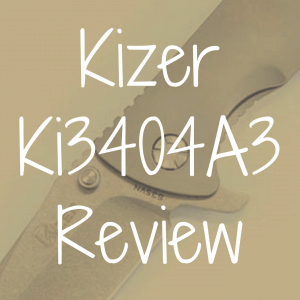 If you enjoyed this review, please bookmark Reliable Knife!